A British girl has hypoxic ischemic encephalopathy (HIE), microcephaly, cerebral palsy and seizures because the medical team failed to perform proper tests on the mother when she complained of feeling a painful, violent movement in her abdomen during labor. The expecting mother, Sarah Murphy, was admitted to the hospital the day before the pain in her abdomen began because she started having irregular contractions. At this time, a fetal heart rate monitor was not attached to her abdomen. hus, the medical team was not monitoring the baby’s heart rate. When Sarah complained of the violent pain, not only did the medical team fail to check on the health of her baby by attaching her to a fetal monitor, but the midwife told Sarah she could “tough out” the pain. Much later, Sarah was transferred to the surgical unit and C-section delivery was performed. After the C-section, Sarah and her newborn girl, Kate, were both in very bad condition. Kate was born limp and did not cry. She had to be resuscitated at birth, and both the mother and baby had to be transferred by helicopter to a specialized facility for treatment. Shortly after arrival at the facility, Kate began to have seizures and was diagnosed with hypoxic ischemic encephalopathy (HIE). Within a year, physicians told Sarah that Kate had microcephaly and cerebral palsy. Sarah had suffered placental abruption during labor, which is a condition in which the placenta tears away from the uterus (womb). This is very serious because the placenta is essentially the baby’s lungs. Oxygen-rich blood travels from the mother to the placenta, and then on to the baby through the umbilical cord. In the placenta, carbon dioxide is exchanged for oxygen; the baby gets rid of carbon dioxide and picks up oxygen. Oxygen-rich blood travels to the baby through a vein in the umbilical cord and deoxygenated blood is transferred to the mother through the umbilical arteries. The placenta is where gas exchange takes place. If the placenta completely tears away from the womb, no oxygen-rich blood can be transferred from the mother to the baby and the baby will be completely deprived of oxygen. If the tear is mild, the baby may only be receiving slightly less oxygen-rich blood. A mild placental abruption can turn severe very quickly, however, and if the baby is at or near term, immediate delivery should take place. Moderate to severe abruptions always require prompt C-section delivery to prevent severe oxygen deprivation in the baby and brain damage. Kate developed hypoxic ischemic encephalopathy (HIE) because the undiagnosed placental abruption caused her to be deprived of oxygen. HIE is a brain injury caused by a lack of oxygen in the baby’s brain. This lack of oxygen can be caused by a decreased oxygen-rich blood being transferred to the baby, as in Kate’s case, or a decreased/restricted flow of blood in the baby’s brain. Conditions such as placental abruption do not have to cause permanent injuries in a baby. The baby’s heart rate should be continuously monitored and analyzed during labor and delivery. When a baby is experiencing a lack of oxygen to her brain, this will be recognized by the medical team as a non-reassuring heart tracing on the fetal heart rate monitor. When a non-reassuring heart tracing occurs, the baby should be quickly delivered, usually by emergency C-section. Quick delivery as soon as the baby is in trouble can prevent significant oxygen deprivation and HIE. Other conditions during delivery that can cause the baby to be deprived of oxygen include uterine rupture, prolapsed umbilical cord, the cord wrapped around the baby’s neck (nuchal cord), hyperstimulation of the uterus caused by Pitocin and Cytotec, oligohydramnios, premature rupture of the membranes, stroke, prolonged and arrested labor and brain bleeds/hemorrhages caused by vacuum extractors and forceps. Hypoxic ischemic encephalopathy (HIE) is the most frequent cause of seizures in a newborn, and HIE often leads to cerebral palsy. There is a treatment that can help prevent HIE from causing cerebral palsy and it is called hypothermia (brain cooling) treatment. When hypothermia treatment is given within 6 hours of the oxygen-depriving insult, it can halt almost all the injurious processes associated with HIE. This can help decrease the severity of–or even prevent–permanent brain injury. Indeed, research shows that hypothermia treatment significantly decreases the likelihood that a baby with HIE will develop cerebral palsy. In Kate’s case, she should have received hypothermia treatment within 6 hours of delivery. Even if a child has to travel by Life-Flight to another hospital, brain cooling caps or blankets can go with the baby and the medical team can monitor the baby in the helicopter. Seizures must be detected and treated right away because each time they occur, they can damage the brain. When HIE is suspected, as would’ve been the case with Kate, continuous EEG monitoring should be performed so that seizure treatment can begin right away. Often, Phenobarbital is the first treatment that physicians use, but they prescribe medication based on each individual case. Cerebral palsy can be devastating for a child. CP occurs when there is damage to the motor centers of the child’s brain while it is still developing. The condition causes the child to have problems with movement, balance, coordination and posture. In severe cases of cerebral palsy, the child may be essentially paralyzed from the neck down. CP affects each child differently, however. Thus, some children only have one or two limbs affected while others have three or four limbs impacted by cerebral palsy. Almost any muscle in the body can be affected, which means a child may have problems with oral-facial muscles, making eating and drinking difficult, or problems with the bladder. What Can I Do To Help My Child With Seizures, HIE and Cerebral Palsy? If a child experienced a difficult birth, was limp or not vigorous, was not crying, had low Apgar scores, had to be resuscitated at birth, and/or experienced seizures soon after delivery, hypoxic ischemic encephalopathy (HIE) should be suspected and the child should be assessed for the condition. The reason a prompt diagnosis of HIE is essential is because many hospitals require this diagnosis in order for the baby to receive hypothermia treatment. There is a small window of time in which brain cooling treatment can help a baby; it must be given 6 hours after the insult or after delivery. Parents should ask if an assessment for HIE has been performed and if their baby is eligible for hypothermia treatment. This treatment can mean the difference between being able to run like other children and spending a lifetime in a wheelchair. Seizures should also be quickly recognized and treated. They are often difficult to detect, but if a baby is noted to be staring, making bicycle pedaling movements, having periods in which she stops breathing, or having unusual repetitive facial movements, seizure activity should be suspected and EEG monitoring should take place. Of course, if HIE or brain injury is suspected, continuous EEG monitoring should take place, but not all hospitals do this. Medications may be very helpful–and necessary–for seizure treatment, but a ketogenic diet can also be useful in combatting seizure activity. This diet consist of formula that is very high in fat and low in carbohydrates, with adequate protein. This diet is supported by research and parents can discuss it with the baby’s physician and a nutritionist. If a baby receives a diagnosis of cerebral palsy, physical therapy can be started right away. Babies can usually begin PT by at least 2 months of age. PT can help ensure that the child has the best motor function possible for their condition. Speech therapists can help the child control her oral muscles and learn to take in food and drinks. As a child gets older, Botox can be used to help loosen muscles, a baclofen pump can be implanted in the child’s abdomen to continuously give her muscle-relaxing medication, and a groundbreaking surgery called selective dorsal rhizotomy (SDR) can be performed to help the child walk. When SDR is performed, the child’s dysfunctional nerves are pinpointed and cut. Cutting these nerves should greatly decrease spasticity (muscle tightness) in the child. SDR must be coupled with aggressive physical therapy. 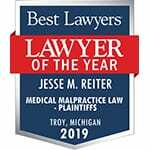 If your child suffered a birth injury and has seizures, HIE and/or cerebral palsy, contact the award winning birth injury lawyers at Reiter & Walsh ABC Law Centers. Reiter & Walsh is a national birth injury law firm that has been helping children for decades. 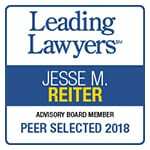 Attorney Jesse Reiter, president of the firm, has been focusing solely on birth injury cases for over 28 years, and most of his cases involve HIE and cerebral palsy. 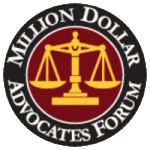 Thanks for finally writing about >HIE and Cerebral Palsy | Birth Injury Lawyers <Liked it! We’re glad you liked our post! Thanks for the comment!